Academies, independent state schools whose growth is flourishing under the coalition, are being accused of letting down their most vulnerable pupils. 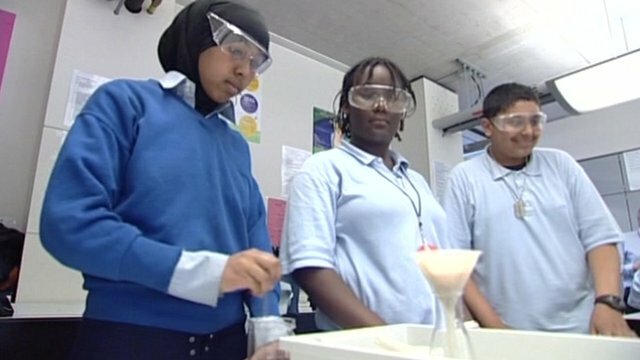 It is claimed that the pressure of performing well in the league tables is leading to some students being pushed out unofficially, without being permanently excluded, as Newsnight's Liz MacKean reports. By her own admission 15-year-old Chloe was a difficult pupil, telling me she got into trouble for "smoking, being on my phone". Her mother Donna adds to the list: "Disrupting classes, making silly remarks, trying to get everyone to laugh at her really." Chloe was identified as having Special Educational Needs, but her behaviour led to her academy in Lincolnshire apparently washing its hands of her. She was at home for an entire term before eventually being sent to an alternative provision with other pupils deemed not to fit into mainstream schooling. Chloe spent a month at Build A Future, set up and run by ex-Army officer Chris Jones. The aim is to re-engage teenagers turned off by school. Chloe hated her time there: "It was all boys' things - welding, carpentry, metal, motor mechanics and things I didn't want to do." "I personally believe the way forward is for a young person not to be excluded, but to get this as part of their education as well as what goes on in school, so they can carry on with their GCSEs - which is not something we do." Across England, such centres do their best for pupils permanently or temporarily excluded from school. The number of children being educated in alternative provisions is going up even though fewer are being permanently excluded. Figures compiled by the Centre for Social Justice show that since 1997, the number of permanent exclusions from schools has halved, from more than 12,000 to under 6,000. Over the same period, the numbers educated off site in pupil referral units has almost doubled, leading to claims that such places are being used as dumping grounds for the less academically able. When her 14-year-old son started getting into trouble at his London academy and was temporarily excluded Liz was told that she should find a new school for her son. In an e-mail the academy advised Liz that it would be in his best interests to have "a fresh start". Although she wanted him to stay in mainstream schooling she was advised to find her son a new school to avoid him going to an alternative provision. "All schools have stats as to how many children they permanently exclude and I think to avoid having that state of permanent exclusion they make you feel so pressured into finding another school for your child," Liz says. "It made me feel pressured that I've got to find another school for my son because I knew that alternative provision was not suitable." Every year the headmaster of the Lillian Bayliss Technology College, a local authority school in South London, takes in pupils from academies. He says many have had to leave, but without going through any formal exclusion process. "Many of them are seeking to move because of what I often call 'the dark arts'. They've been asked to move rather than be permanently excluded, they've been ignored for a few months on study leave, or ignored in a study support centre." When the coalition came into government there were just 200 academies, mainly in deprived areas. They are free from local authority control, so they can handle their own budgets and devise their own curriculum. 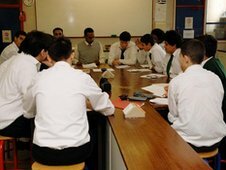 Since then many high performing schools have converted to become academies - there are now more than 1,500. "The freedoms that they have got... mean that whatever they're doing for the majority of children in their establishment, there is a small group who are being disadvantaged or squeezed out." He says a typical case will be a 14 or 15-year-old boy, very often black, who is about to start his GCSEs. The Department for Education (DfE) acknowledges that academies exclude more pupils than local authority schools, but denies that they are responsible for backdoor, unofficial exclusions. "Academies are very high stakes institutions. An enormous amount of money has been spent on them. The expectations of everyone, the DfE, politicians who are in favour of the academies scheme must be that they are a success." "Academies must follow exactly the same law and guidance on exclusions as all other schools - it's simply untrue to say that academies can exclude pupils more easily. The overall level of exclusions has fallen in academies year on year, with many having rates no higher than other schools in the local authority." 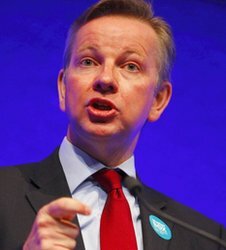 Last week Education Secretary Michael Gove described critics of academies as "enemies of promise". But the uncomfortable fact remains that they were supposed to give all children a better chance, to stop them joining what Mr Gove himself called "an educational underclass". Yet some are feeling bitterly disappointed. For all her bad behaviour, Chloe was not without promise. "Basically I'm going to be thick all my life and not have anything," she says.